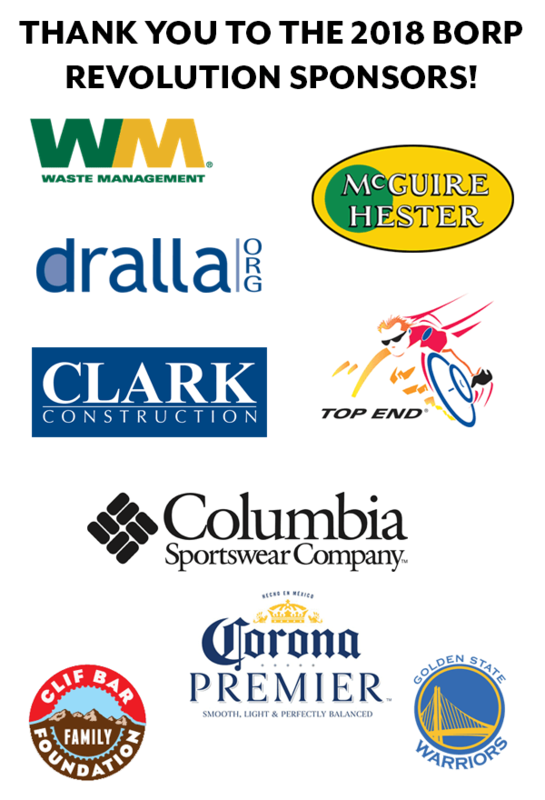 There are many ways that companies and organizations can become a sponsor of BORP’s Revolution Ride & Festival. Sponsorship of the Revolution is a great way for a company to gain visibility in the disability and adaptive sports community while directly impacting the lives of BORP participants and their families. The Revolution is BORP’s signature event, attracting hundreds of attendees of all ages and abilities for a day of cycling, celebration, and fun. As BORP’s largest annual fundraiser, it provides core funding for BORP’s life-changing adaptive sports and recreation programs. Not only will your investment make a profound difference in the lives of hundreds of BORP participants, but it is a great way to engage over 300 attendees and reach over 2,000 donors from across the country who support Revolution riders. Please join us. Your investment will make a profound difference in the lives of hundreds of BORP participants. All sponsorship donations are tax deductible. 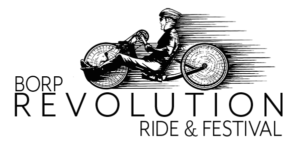 Click here to see all the 2018 Revolution Sponsorship Opportunities (pdf). If you or business is interested in becoming a Rev sponsor, email revolution@borp.org. Additional details are available – call Rick Smith at 510.849.4663 ext. 1302. Highway 101 north toward Geyserville. RIGHT at bottom of ramp. LEFT immediately onto Geyserville Road. The SECOND driveway on your RIGHT is Clos du Bois Winery.